Customers’ service is closed and all flights are cancelled with immediate effect, the company announced Wednesday afternoon. With the bankruptcy, northern Scandinavia looses the only cross-border flight. The route has connected the three largest cities in the northernmost parts of Norway, Sweden and Finland. Although heavily subsidised with public cash from Troms County in Norway, the route has saved hours of travel for people in the north that otherwise would have to fly through the southern capitals of Oslo, Stockholm and Helsinki. Since start-up in January 2015, the aircraft has mostly been flying with half of the seats empty. Sometimes only with a few passengers. When the route started in 2015, Troms County granted 25 million Norwegian kroner (€2,7 million) in public support. Same amount were granted by regional authorities in Sweden and Finland as well. The first reports about Nextjet’s serious economical challenges came last autumn. Additional to neighbouring Tromsø and Oulu, several domestic flights to destinations in northern Sweden are now without regular passenger planes. That includes Arvidsjaur, Vilhelmina, Lycksele and Hemavan. 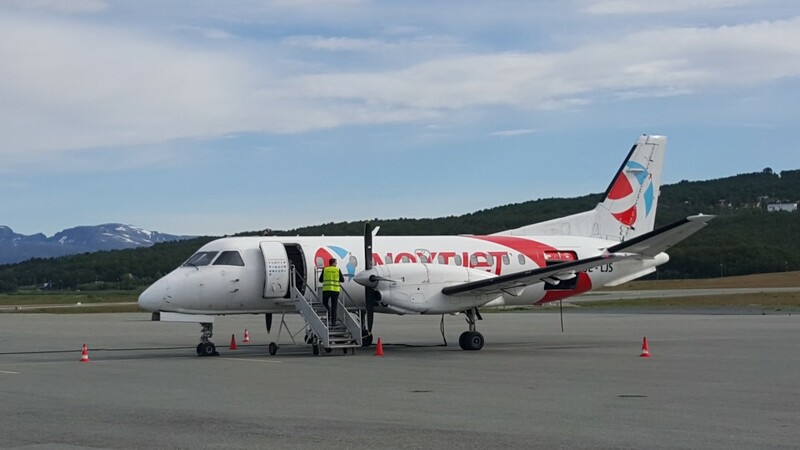 Nextjet had flights from northern Sweden to airports like Sundsvall, Gothenburg and Stockholm.